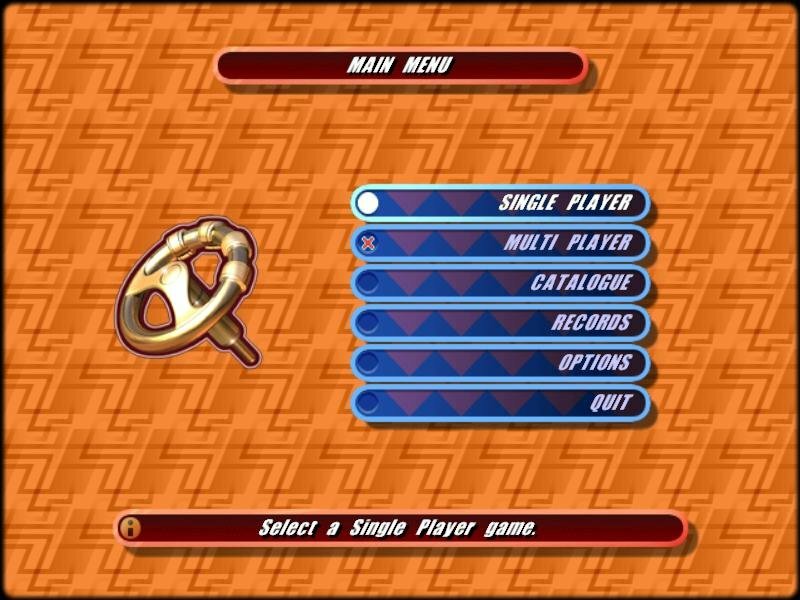 The fine guys at Team 17 are most famous for their Worms franchise of strategy games. 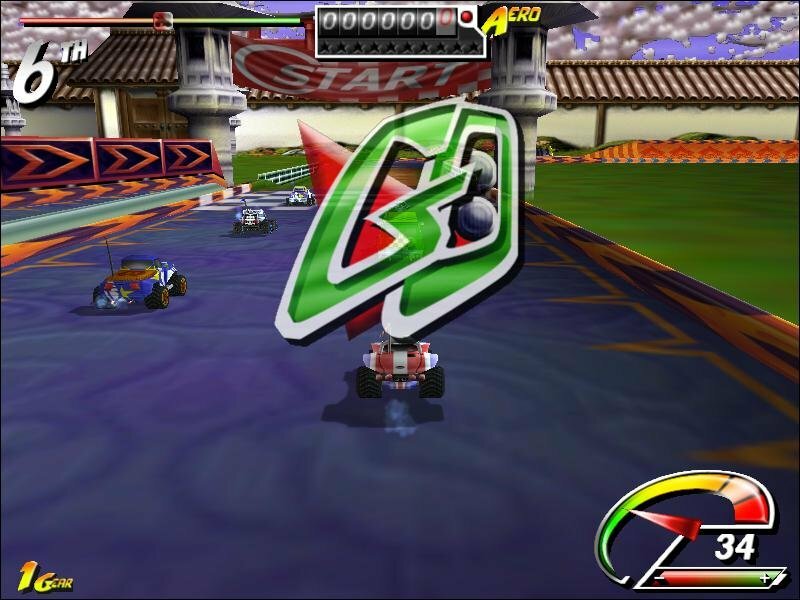 Racing titles aren’t their thing, so imagine everyone’s surprise when they released Stunt GP, an RC car arcade racing game with enough bells and whistles to entertain both kids and adults. 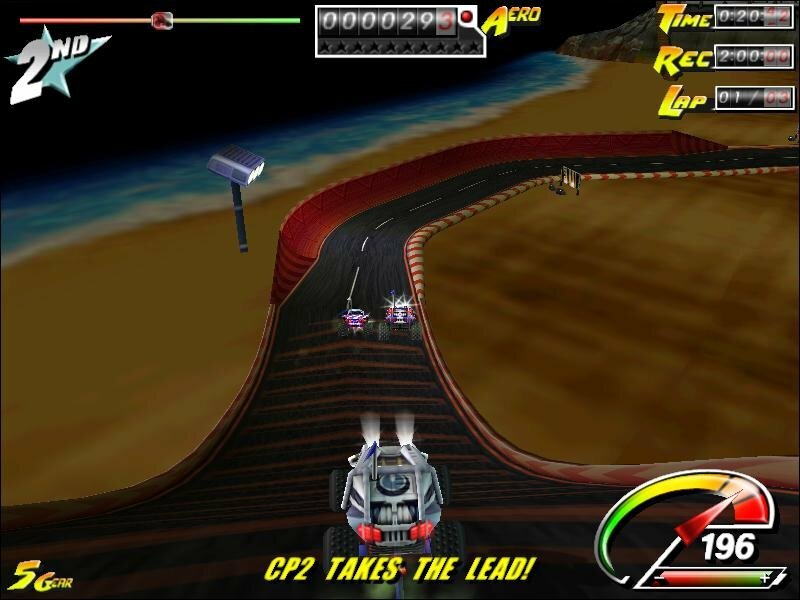 In Stunt GP you control various remote controlled cars through a variety of tracks set in life-sized locations. 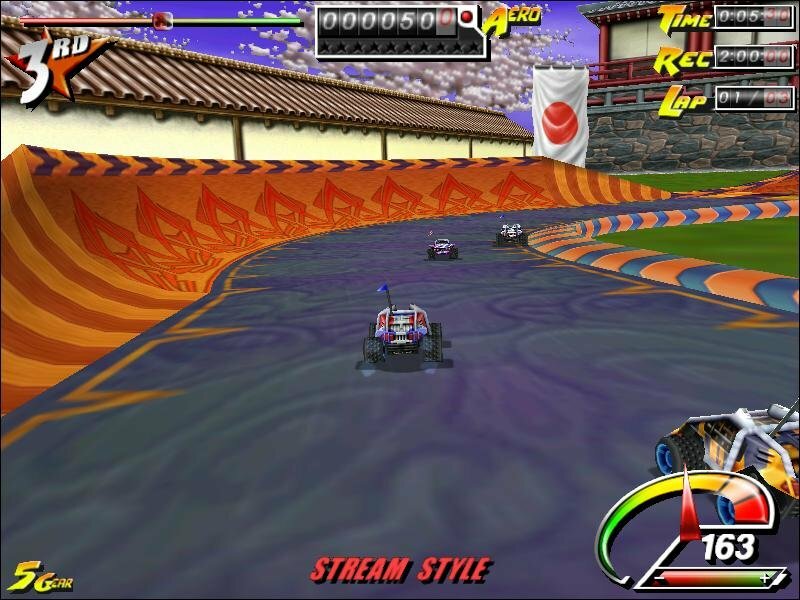 Themes are based in countries, so if you play in Japan you’ll race around lovely pagodas and pink Magnolia trees. 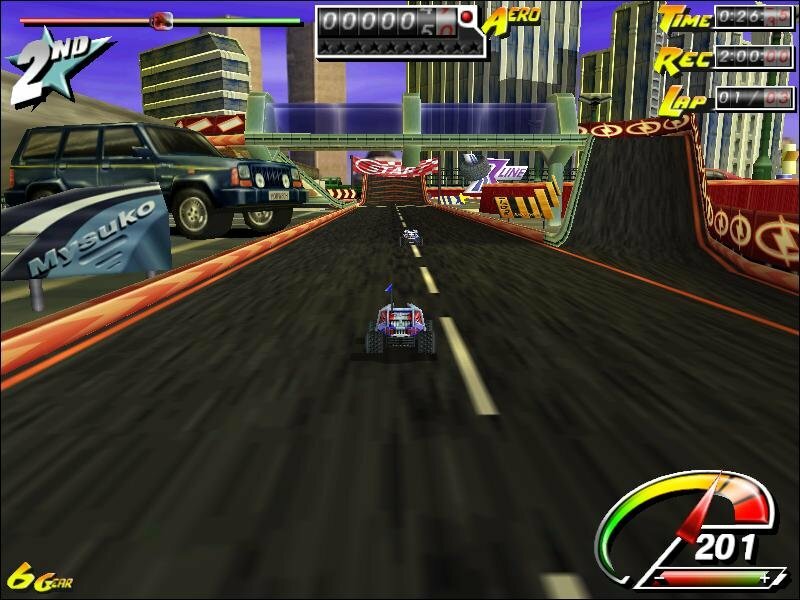 Select a track in America, and you’ll guide your little toy cars through bustling skyscrapers. 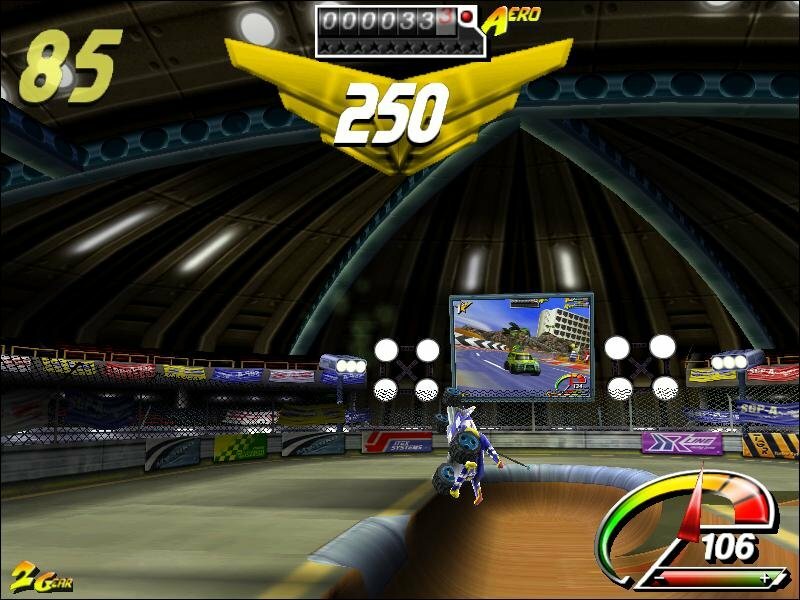 The idea behind Stunt GP, however, is not only to win each race but also to do it with as much style as possible. 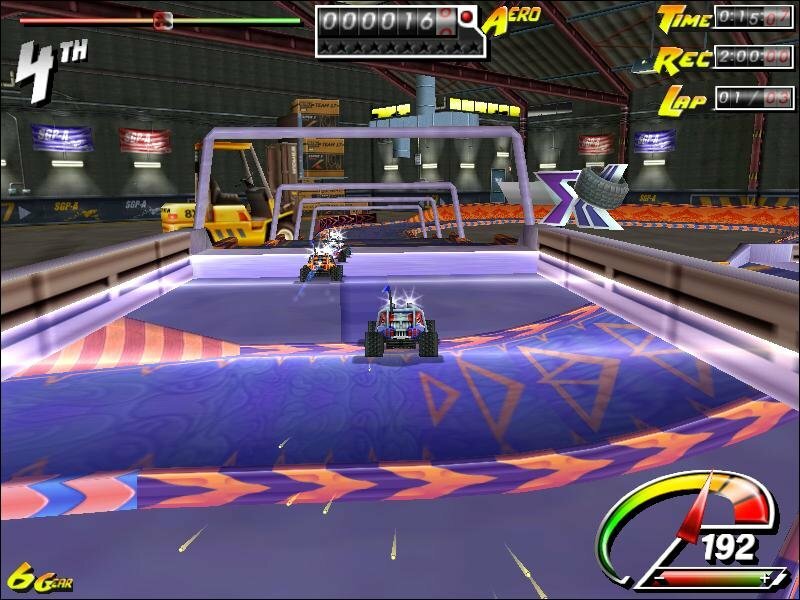 Each track possesses a number of tight corners and jumps. 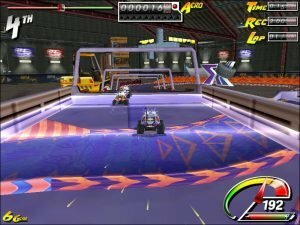 And when one of the these opportunities come along you have the option of attempting to pull off some stylish moves – such as front 360’s and barrel rolls – which give you points. These points can then be used to purchase upgrades in Championship Mode. 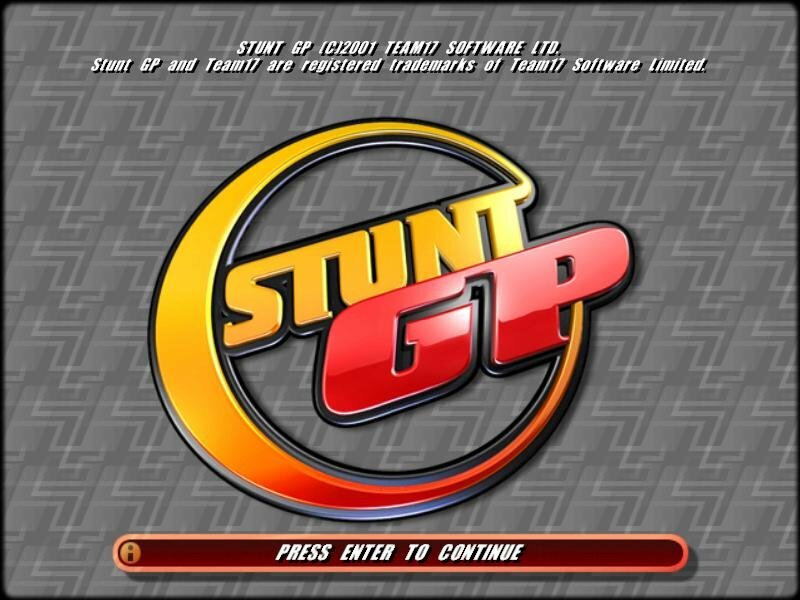 In order to pull off stunts, you must press the stunt key when you launch off a ramp, from there on you can try and do as much fancy stuff as you please – just much sure you land the right way. 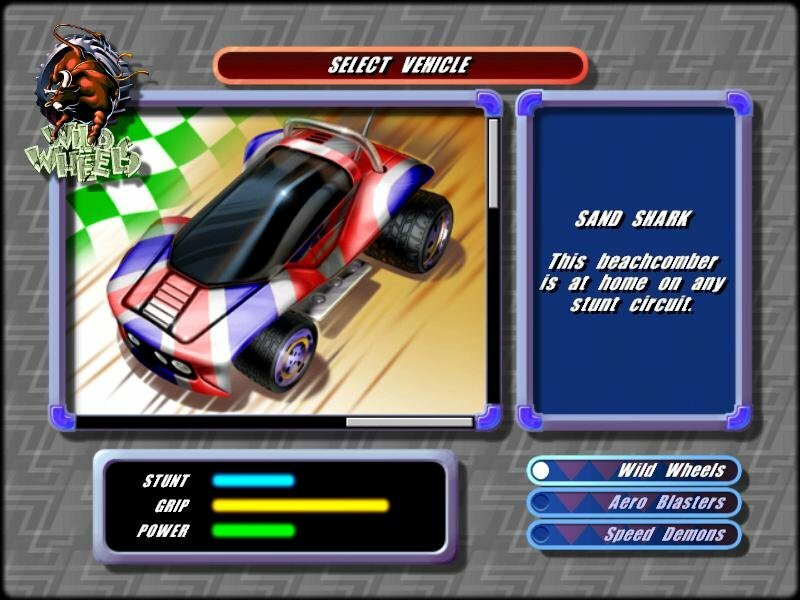 As with the Worms series of games, everything about Stunt GP is bright, colorful and nicely put together, from the menu screens, 3D visuals, racing environments and believable physics. 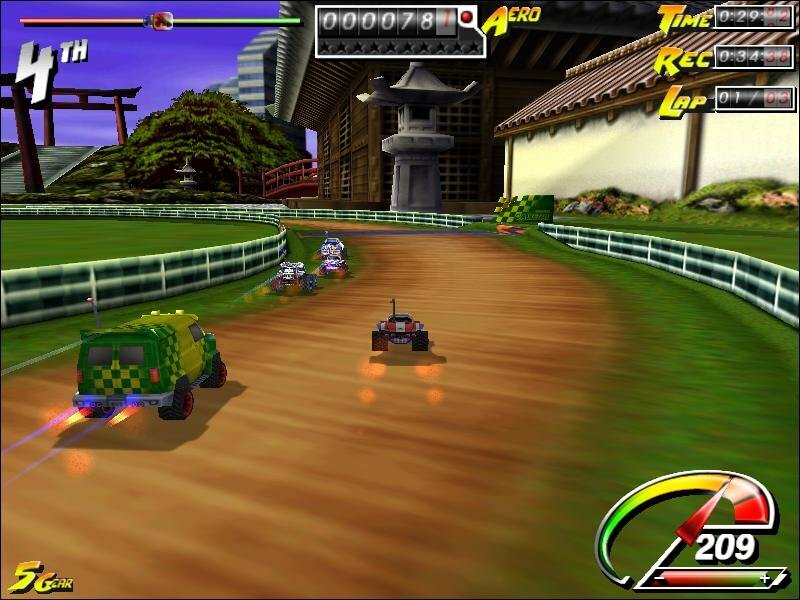 The cars, tracks and scenery are crisp and clean with no glitches in sight. The AI is as challenging as you want it to be – from lower difficulty levels to higher ones. 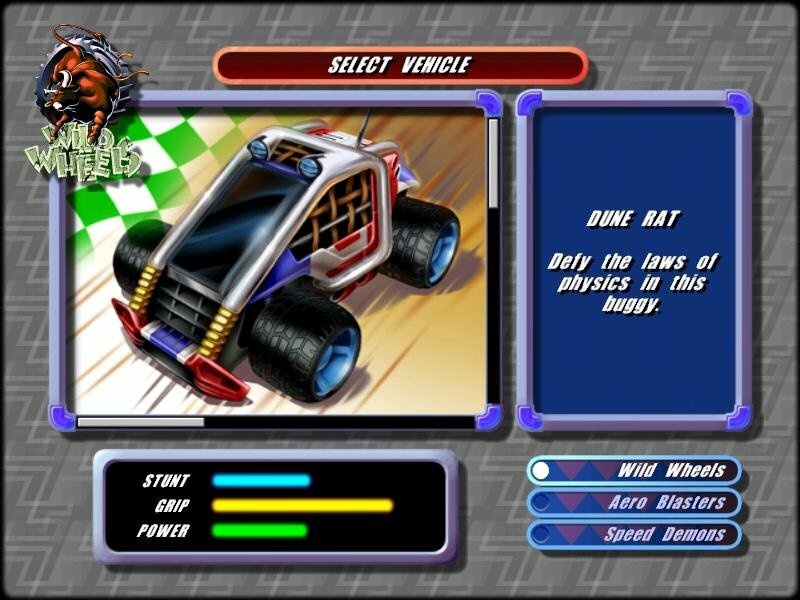 They’ll try to ram you off the track and use their nitro boost effectively along the way (nitro is basically boosting power which feeds off a limited battery supply). 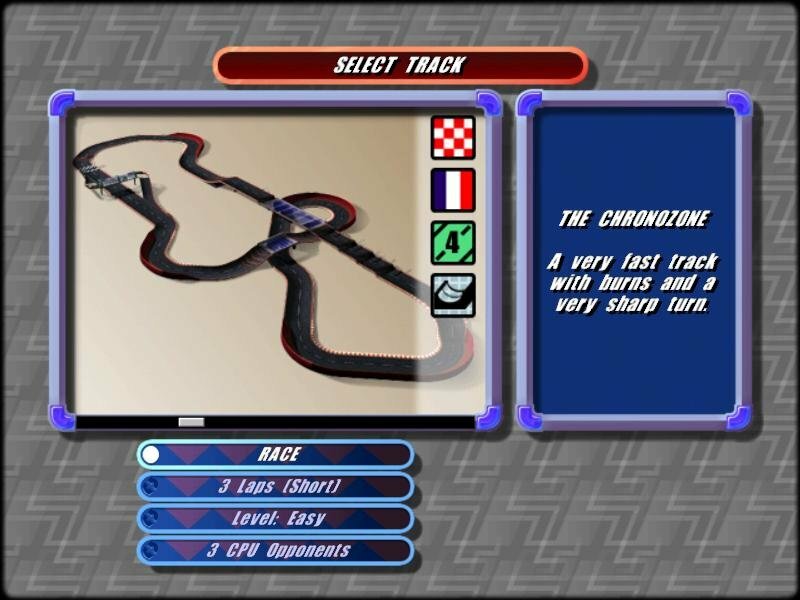 Track design is of the highest quality too. Each race is suitably different to the other. 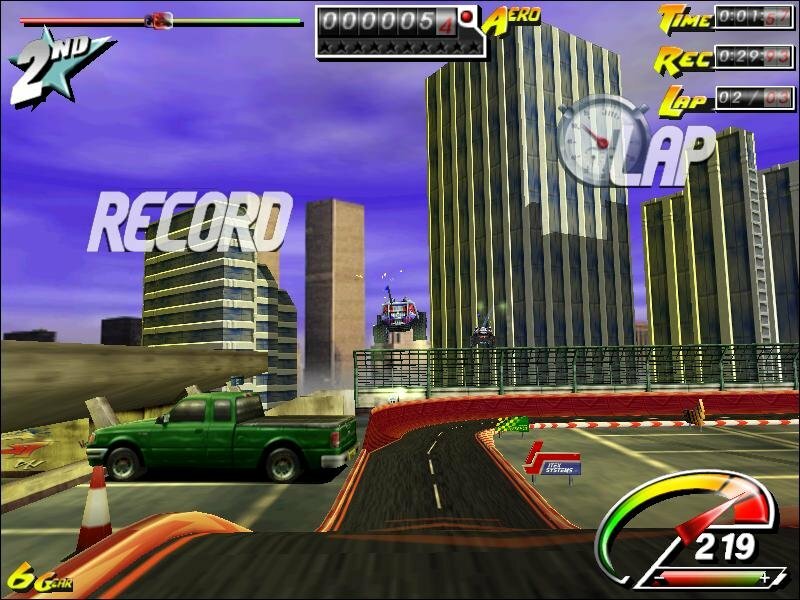 Some tracks focus on pulling of the biggest stunts possible; some are geared more towards your driving qualities. 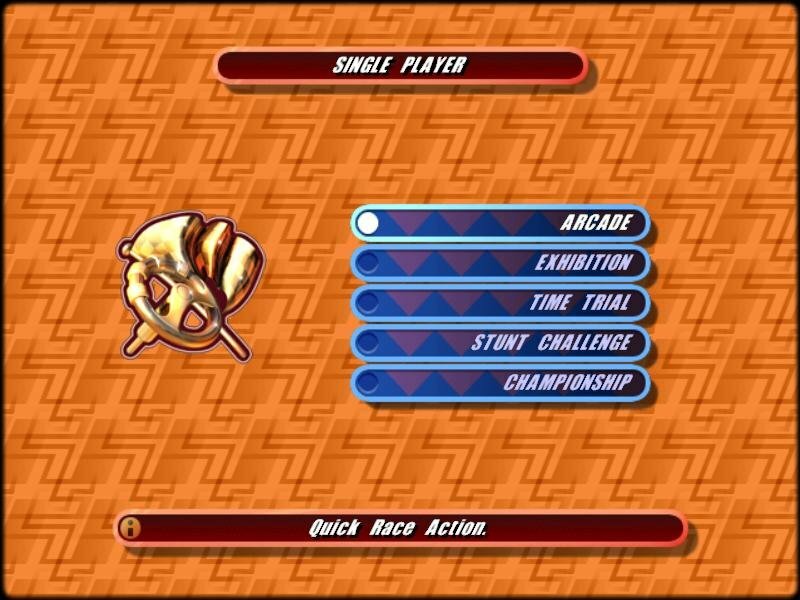 A secondary stunt mode drops the racing gimmick and lets you perform stunts exclusively. 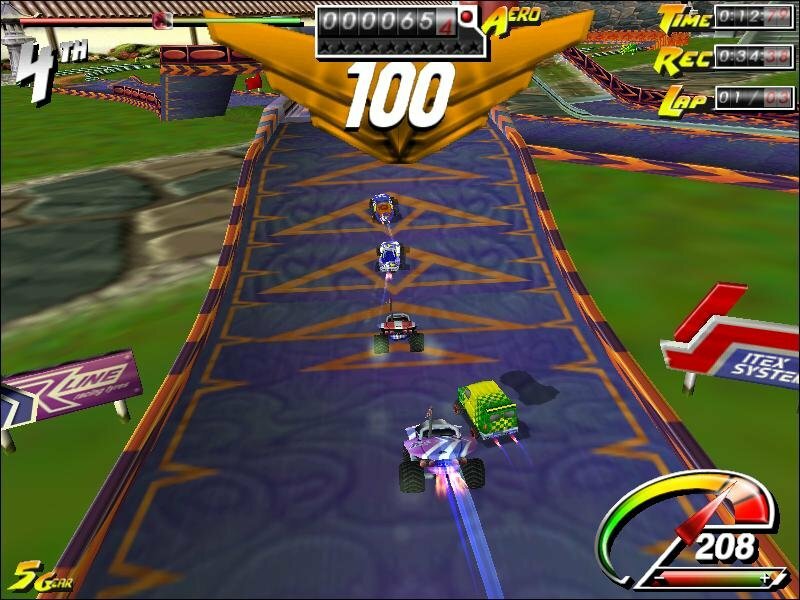 All of this adds up to a nice, polished and simple racing game for all to enjoy.